Elizabeth Popoola, a junior in civil engineering and applied mathematics from Florissant, Mo., landed on Ameren’s radar during her sophomore year at Missouri S&T. As an Ameren scholar, she was invited to attend a Power Hour event hosted by the company. “During the event, I was granted the opportunity to speak with Ameren employees from different departments and got to view the St. Louis general office building,” she says. Last fall, she worked at a civil design co-op at the company’s facility in Decatur, Ill. Popoola spent most of her time there working on foundation sketches, assisting the group on all things involving spill prevention contaminant and control, and attending training sessions to refresh the team’s memory of items relevant to the work each group does. But she also visited sites as a hands-on way to see where oil could spill and decide the best method to help prevent any disasters. 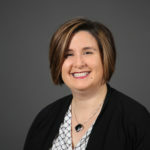 “The main key takeaway I have learned from my co-op here at Ameren is that I should never be afraid to ask to assist on a project even though I may not have prior knowledge on the key components,” she says. Popoola credits her surveying, speech, and engineering communications and computations courses for preparing her to handle the various assignments. 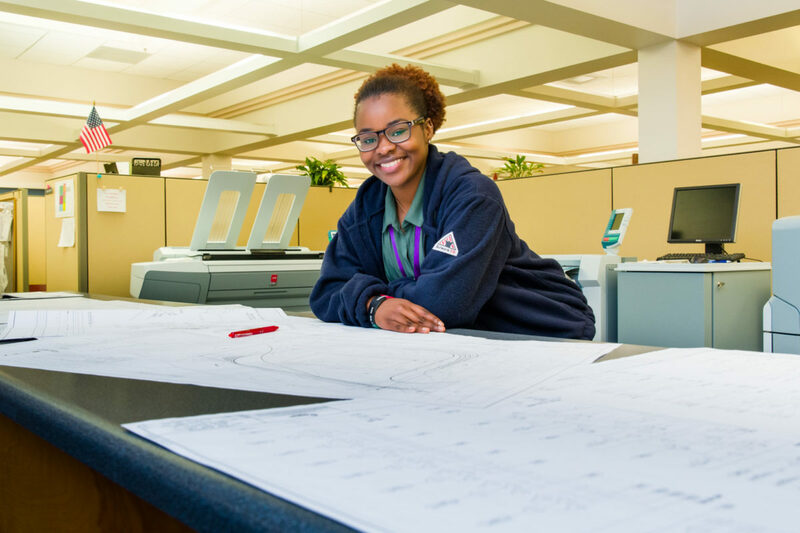 From reading topographic maps to using AutoCAD to working within groups, she was able to put her S&T education to work and appreciates the freedom Ameren gave her on the job. “As long as I reach my end goal, I could take any steps I desire,” she says. Toward the end of her experience, Popoola found herself having to step out of her comfort zone to help a colleague with an urgent task that had to be completed by the end of the day. Many of her civil engineering colleagues were at a training session out of town, so she was left to correct a previously created CAD drawing for substation equipment. Elizabeth is one of S&T’s University Innovation Fellows-UIF (Stanford University Program) and helps lead a week long innovation and entrepreneurial thinking workshop for incoming freshman. Great article on Lizzie – she is an intelligent and beautiful person. She is a strong leader and has given so much back to the campus. S&T is fortunate to have her as a student on their campus.